I came across this barn in the woods and really liked the way it looked sitting up on the hill. 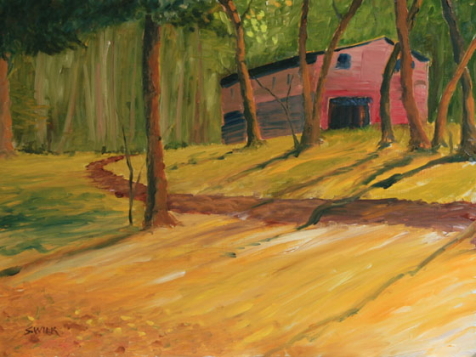 The painting shows the long shadows of late afternoon. This picture has strong tones of new gambage yellow.